Being both shock proof and watertight, the Reachi device will stand up to extreme weather conditions. On top of being robust, the Reachi device is designed with user friendliness in mind. And the device is extremely energy effective, so that its battery can last as long as possible in areas where power supply is shaky or even completely absent. 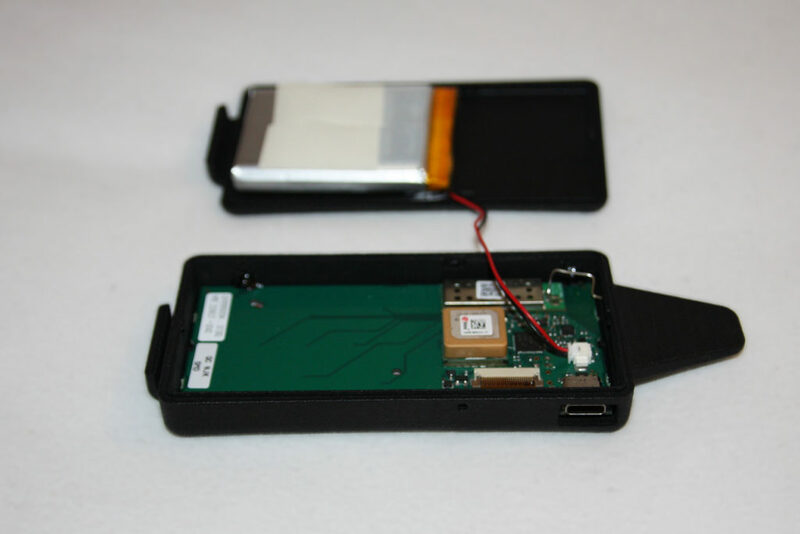 TechPeople has assisted LinkAiders in choosing the right components for the Reachi device, including rechargeable battery, micro controller etc. and stitching it all together to achieve the robustness needed. The project has come quite far, with prototypes having been tested twice in the Philippines already. Also in the Philippines, a pilot with 1,000 devices is to be scheduled for sometime during 2018. At that time one of the key features of the Reachi device will be tested in a real life setting: The devices functioning together to form a dynamic and flexible Mesh network. As mentioned, the Reachi device has to function in spite of communication infrastructure in an area being destroyed. That requirement, combined with the need for ultra low power consumption, made LinkAiders turn to the Danish wireless mesh network company NeoCortec and their NeoMesh technology. TechPeople took up the challenge to integrate NeoMesh into the Reachi device. NeoMesh is developed for IOT applications and allows for up to 65K mobile nodes. Moreover, it is able to handle dynamic topologies in real-time. As opposed to other technologies in the IoT workspace, NeoMesh allows any node in the network to dynamically change position. 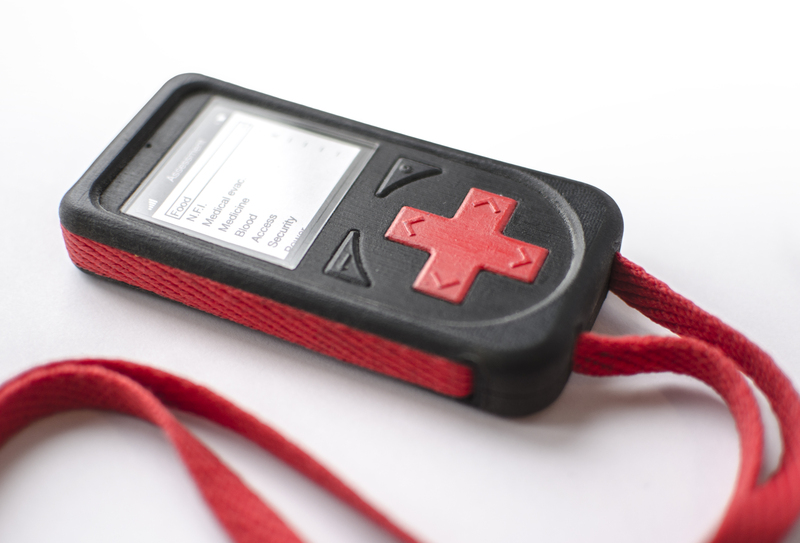 This feature makes NeoMesh ideal for the Reachi use case, as emergency workers equipped with a Reachi device move about and change position constantly, while the devices still can play their part in the network, receiving and transmitting data. This flexibility is possible due to the NeoMesh Speed Routing Protocol. It replaces a central Network Manager with autonomous intelligent nodes, enabling all network nodes to link to each other automatically and dynamically, forming one single network that works, even if nodes change position or are replaced. The NeoMesh routing protocol routes data seamlessly through the network and eliminates any concern in performance created by obstacles in the RF path, nodes being blocked or simply moving around within the network. Weak spots in a real life network can easily be fixed by just adding another node. Given it has the right network ID, it automatically becomes a part of the network. Unlike other routing protocols the Speed Routing Protocol does not create the exact route from A to B in advance. Each NeoMesh node maintains a knowledge of which of the nearest nodes would be the best for the next hop. While data travels through the network this knowledge of the best next hop is used to decide the route of the data. The knowledge is kept up-to-date in real-time and the route is adjusted dynamically according to changes in topology and link quality. Utilizing these network features the developers have been able to design an extremely flexible communication infrastructure. The network is divided into subsections, consisting of 1,000 Reachi device-equipped emergency workers. For this dedicated long-range deployment NeoCortec has developed a special radio module, with a line-of-sight range of >2,5 km. Each sub-network hosts a NeoMesh gateway transmitting data via a satellite uplink. Thus vital information can be sent to relief coordinators, even with a country’s communication infrastructure completely damaged. 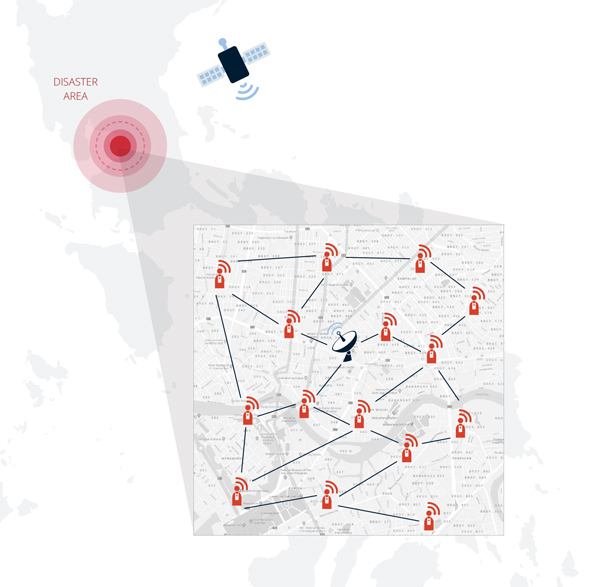 To cover the whole of the Philippines, the Reachi deployment plan envisions 1,000 sub-networks, each with its own satellite-enabled gateway. This means a million devices all in all, as each sub-network consists of 1,000 Reachi devices. As the Philippines is one of the world’s most disaster-prone countries, LinkAiders have chosen a tough environment to test their device. If successful it will not only provide help where help is desperately needed. The Reachi system will also set new standards for dynamic and flexible IOT network solutions. TechPeople is a consultancy house within the Data Respons group. The company is based in Copenhagen, and specialises in embedded solutions and IT business systems. TechPeople have specialists within hardware, software, mechanic development, project management and product testing. TechPeople’s innovative customers range from large international companies to creative start ups.